Justice John “Troadio” Gonzalez, at 2:07 p.m., delivered his ruling in the trial of Renan Briceño, Jr., who was indicted for the January 5, 2012 murder of Dale Tillett, 19, who was gunned down at Palm Island nightclub. In the courtroom after the 6-day trial were six members of Briceño’s family, including his father and second cousin, Hon. Johnny Briceño, and six members of Tillett’s family, including his mother. Briceño’s attorney was Ellis Arnold, S.C., and the prosecution was led by Crown Counsel Shanice Lovell, assisted by Portia Staine. In less than ten minutes after the court marshal announced the arrival of “his Lordship the Judge,” it was over, as the judge delivered, in skeleton form, the not guilty ruling in Briceño’s murder trial without jury. A court orderly escorted the acquitted Renan Briceño back to the jury room, where he had been waiting since his arrival from the Belize Central Prison early in the morning. Briceño’s attorney, then his family, walked out of the courtroom, declining interview requests from reporters. When Briceño emerged from the court, he also declined to speak to reporters. In delivering the not guilty ruling, Gonzalez summarized briefly the five elements of the offense that the prosecution must prove beyond a reasonable doubt, in order to secure a murder conviction. Although the prosecution was able to prove that Tillett was dead and that he died from unlawful harm, the Crown’s case failed in proving that Briceño was responsible for that unlawful harm. According to Gonzalez, it failed in identifying Briceño as the person who intended to murder Tillett in the wee hours of December 31, when he was shot multiple times at the Palm Island night club. The key piece of evidence that the prosecution was relying on came in the form of a witness statement that police had recorded from Albert “Long John” Fuentes,” who was killed last January, along with three other members of the George Street Gang. The prosecution, however, managed to get Fuentes’ witness statement admitted into its evidence against Briceño. Fuentes’ statement and the testimony of nine witnesses, mostly formal witnesses who testified for the prosecution’s case, were not enough to secure a murder conviction against Briceño. In his closing argument, Arnold shredded Fuentes’ statement, telling the court that Fuentes was not present to be crossed-examined so as to allow the court to assess his demeanor. Besides that, the statement appeared to have lacked veracity, he said. Arnold urged the court to exercise caution in accepting Fuentes’ evidence against his client. Briceño, on the other hand, gave evidence from the witness stand and was subjected to extensive cross-examination by the prosecution. He placed himself at the scene of the crime, telling the court that he had gone to the nightclub in his capacity as the marketing director of SMART, where he was employed. When the shooting and the mayhem occurred outside, he did not have his licensed .9mm firearm on him, he said. His firearm was left with one Tulio Caceres when he entered the club. After the shooting, Caceres handed him back his firearm, he said. 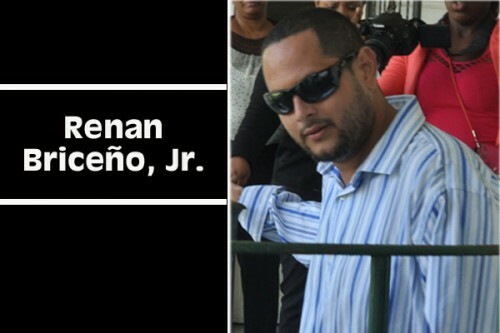 Gonzalez noted that he observed Briceño’s demeanor when he took the witness stand, and that he was unshaken under the thorough cross-examination of the Crown Counsel. Therefore, “the accused could not and did not have the intention to harm Tillett; for these reasons, I find the accused not guilty,” Gonzalez ruled. A full and expanded version of this ruling will be given at a later date, Gonzalez informed the court. Tillett died while receiving treatment at the Karl Heusner Memorial Hospital four and a half days after he was shot. Briceño, who at the time of the shooting was remanded for the attempted murder of Tillett, was charged with his murder.